Dive in, It's a Preppy Alligator Party!! It's beginning to look a lot like Christmas...in the N&L Studio!! Our studio is beginning to feel like Santa's workshop with all of the festive holiday cards being created each day! Just a reminder to all those who have not yet ordered their holiday cards, but still want to create something swanky and custom--we will be taking holiday card orders until Monday, December 9th!! E-mail us at custom@nicoandlala.com to get started! 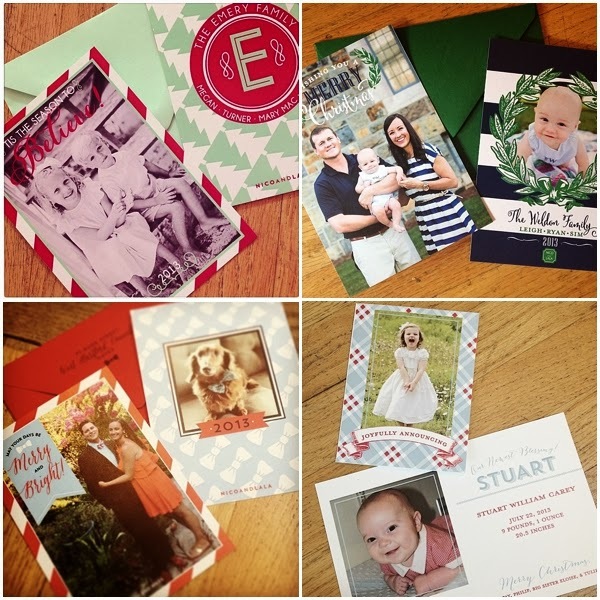 Check out some of the amazing cards we've sent out this past week...we're obsessed!! Want more custom holiday card goodness? Make sure to follow us (@nicoandlala) on Instagram and Twitter for regular updates from our studio, including cute new Christmas cards!! 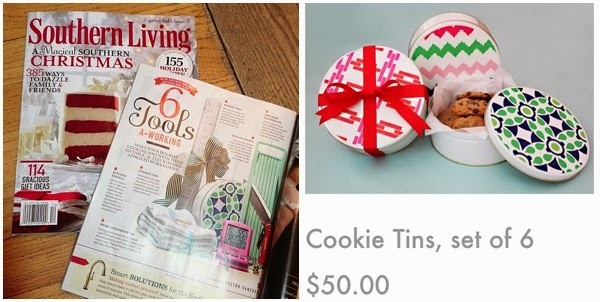 Speaking of Christmas...we're thrilled to announce that our swanky new cookie tins are featured in the newest edition of Southern Living!! We dressed up Christmas cookie tins with bright colors and bold patterns--they make the perfect addition to your Christmas cookies for teachers, neighbors, coworkers, etc. Pick up the December issue of Southern Living today, and be sure to look for us on page 168! Or visit our website and shop our swanky cookie tins!! Now, on to the cutest little alligator party you've ever seen! What is it about alligators that scream cute and preppy?! 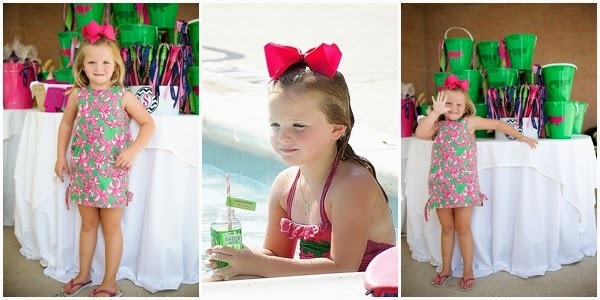 For Avery's fifth birthday, we designed a pink and green alligator extravaganza! Taking cues from alligator loving brands like Lilly Pulitzer and Lacoste, we took a cute little gator and spiced it up with some majorly preppy accents!! 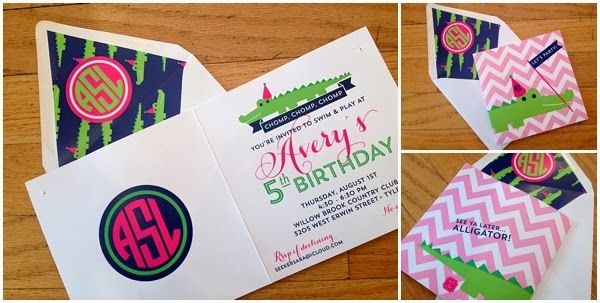 For Avery's invite, we focused on three fun elements: bold pink and white chevron, an adorable lime green alligator (complete with a sweet pink birthday hat), and an amazing monogram!! 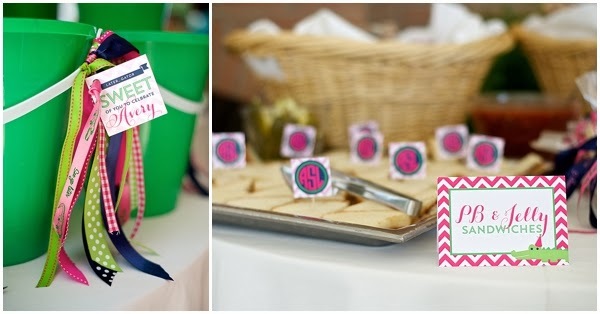 These elements perfectly accented one another, and set the tone for Avery's birthday swim bash! Get ready to party as we dive into Avery's fifth birthday!! We love Avery's entire invite, but our absolute favorite part is the cute envelope liner!!!! 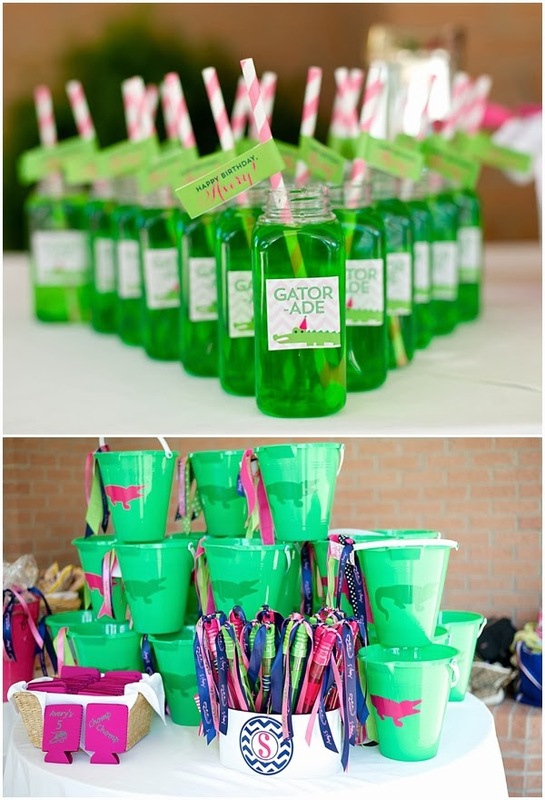 We are obsessed with the custom "Gator-ade" labels, paired with the pink and white striped straws!!! Complete with precious coordinating birthday tags, of course! We loved helping Sara create a swanky fifth birthday for Avery!!! Until next time, see ya later alligator! !